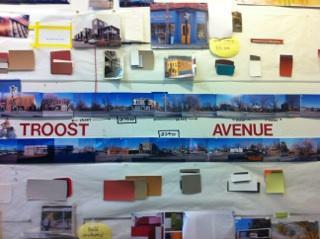 The proposed design standards aim to make Troost a more vibrant, livable community. Architects, city planners and local nonprofits have all dedicated their time and talent to the Troost Coalition's drafted plan. A group of Troost Avenue neighbors and urban planners want to fight blight on the Kansas City corridor by changing the street’s development code. After three years of collaboration, they’ve created a plan and will bring it to the Kansas City Council's Plan Commission Tuesday. 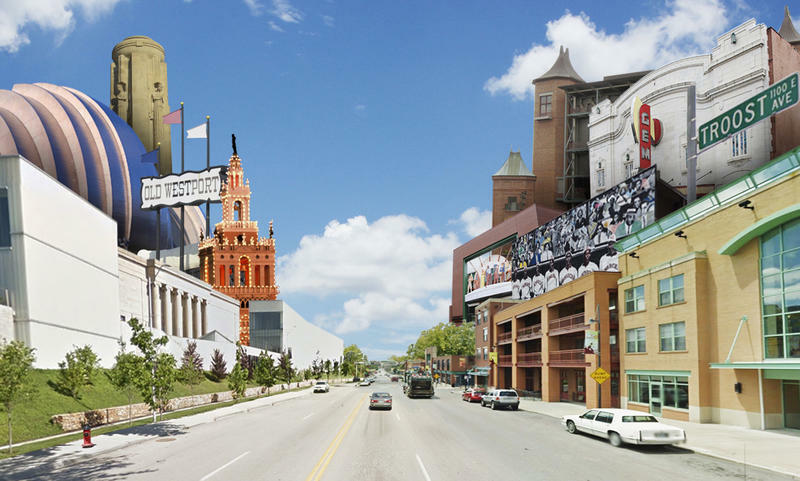 In a review meeting last week, the Troost Coalition unveiled the final draft of the plan, which focuses on the strip of Troost Avenue from 22nd Street to Brush Creek Boulevard. It’s an area characterized by empty lots and once-majestic buildings riddled with decay. That’s exactly what the proposed development standards seek to change. The coalition wants to make the area a more vibrant, livable neighborhood. Under the plan, all new developments would be a minimum of two stories to increase density, with attractive storefronts right on the sidewalk to entice pedestrians. The buildings also would need to be made of durable, "appealing" materials like brick and stone. These changes may seem small, but residents say they’re necessary first steps. “This is a funeral for how Troost has been for the last three decades ... It declined because our attention was away from Troost. Now we are putting our attention back on Troost,” says Spark Bookhart, vice president of the Longview Community Association. 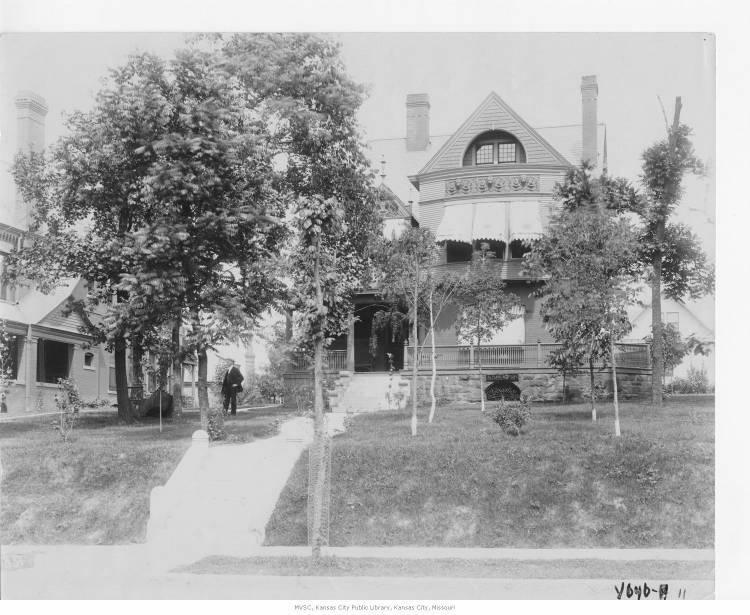 This is not the first time members of the Troost Coalition has tried to change the historically divisive street. At the end of 2014, the Kansas City Council sided with the coalition, reining in Troost's anything-goes zoning code. 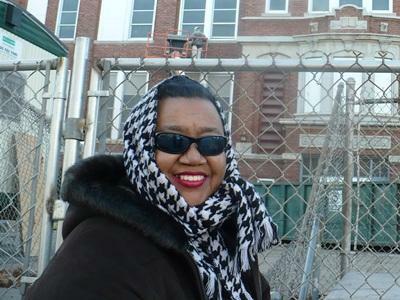 After 10 years of living on Troost, Cathryn Simmons says she knew residents couldn't fight the blight alone. At Hoop Dog Studios, detailed urban planning blueprints are juxtaposed with interactive pieces by Troost-based artist Lori Buntin, inviting the public to be a part of the planning process. Simmons says the plan has captured the attention of architects and planners across the city because it simultaneously encourages development and leaves little room for gentrification. If the Kansas City Plan Commission approves the Troost Coalition's proposal, it will head to the Planning and Zonning Committee before being considered by the full City Council. This look at Kansas City's east side is part of KCUR's months-long examination of how geographic borders affect our daily lives in Kansas City. KCUR will go Beyond Our Borders and spark a community conversation through social outreach and innovative journalism. We will share the history of these lines, how the borders affect the current Kansas City experience and what's being done to bridge or dissolve them. Be a source for Beyond Our Borders: Share your perspective and experiences east of Troost Avenue with KCUR. As KCUR examines how Kansas Citians divide themselves in our Beyond Our Borders series, we wanted to look at the demographics of the areas where we are focusing our reporting. Earlier this year, we asked the community which lines were the most divisive in the Kansas City metropolitan area. Troost Avenue was cited as one of the most prominent racial and socioeconomic borders. Two years ago, the Greater Kansas City Chamber of Commerce led a community-wide brainstorming session to generate five "big ideas" for improving our metropolitan area. 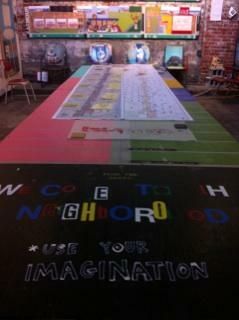 One of those "big ideas" is to revitalize our urban neighborhoods.